Why I love long hair. Well most hairstylist’s ruler is off. What I mean is, you ask for an inch cut, they take a foot. Horrified, you never go back to the salon. I don’t blame you. Stylists seem to think you pay for what you leave on the floor. I wholeheartedly disagree. It took you a long time to grow that hair. You want your hair long and pretty. I get that. I’m going to take the ends off. I’m going to make it longer and prettier. I’m going to keep it healthy. I’m a stylist that respects that. I understand how long it took to grow it. If there is some damage to be taken off, you will always be a part of that decision. My long hair clients tend to like adjustments in their style. This is done internally. What I mean by that is, we adjust layers internally within the haircut. Keeping the length the same. We can bring the layers shorter in areas. And we can let layers grow. Sometimes just ‘nicking the ends’ and letting the layers fill out while keeping them healthy. I jokingly call it an ‘Aircut’. Long hair clients can also make external adjustments. An external adjustment is a change to the outside line of the haircut. For instance, we can adjust the bangs. By going from a swept bang to a blunt bang you can make a big change. These are easy transitions to move in and out of without losing length. But they still make a huge difference in the end result. We also adjust long hair in color. We make huge differences in highlights and low lights. For instance, I always recommend my color clients have both a Spring/Summer and a Fall/Winter look. We like lighter and brighter in the summer. Richer and Deeper in the winter. That doesn’t mean that you go from blonde to dark brown. It just means I pull your darker tones or lighter tones according to season to add depth and texture. 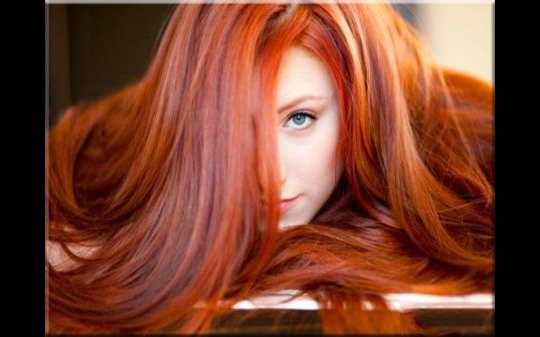 As an added benefit, seasonal color changes will allow the hair to rest. Repairing damage so it can remain healthy. From a male perspective, I personally love long hair. I guess that’s the caveman in me. The lure of long hair is a siren song for men. I respect the growth and will never betray you with my shears. Come sit in my chair soon. GS HAIR’s namesake, Greg Saumure is a Vidal Sassoon Graduate (Santa Monica)- Master Stylist and Colorist. He has over 30 years experience behind the chair as a stylist, colorist, educator and owner of one of Sacramento’s Best Salons. He has launched careers of hundreds of local stylists through his rigorous training and education program. We are located at 2398 Fair Oaks Blvd. Ste 9, Sacramento, CA 95825. Book direct through our same number (916)838-4642 we Text. E-mail us at gshair@sbcglobal.net We are off Fair Oaks Blvd. and Fairgate Drive on the ‘miracle mile’ of hair salons. See you at the studio!